Peaceful Country Living In A Very Convenient Location! This Is One of Nine New Land Divisions Approved March, 2019, Parcels Range In Size From 4.3 Acres Up To 51 Acres. Current Survey Just Recorded. ALL These Newly Created Parcels Have Perk Tests Results That Allow for Conventional Septic Systems ~ Just 2 Miles to US~23 and Clyde Road Interchange for Your Commuting Conveniences ~ Bring or Be Your Own Builder ~ Township Municipal Restrictions Only. A-5 is 5.3 Acres, Will Accommodate a Walkout Basement But Please Have Your Builder Verify. Beautiful Tree Line on South Side. 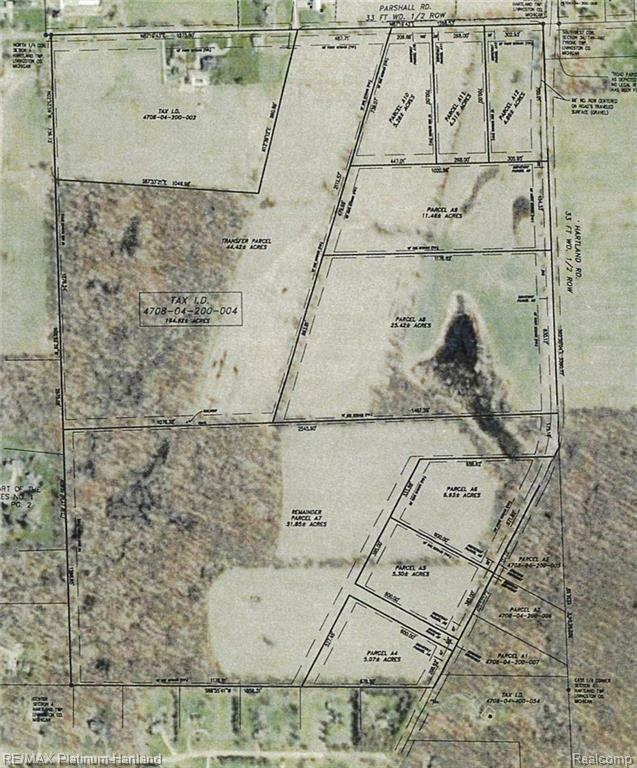 Overlooking Rolling Countryside And Woods, 51 Acre Parcel A-7.